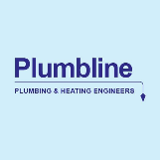 Plumbline has over 40yrs experience in the plumbing and heating industry. We are fully insured and proud to be a Which? Trusted Trader and Trustmark registered. We are on call 24/7 with no call out charge. We take most major credit & debit cards. Andy arrived on time, worked quickly and quietly and finished a tricky job and then left the site in clean and tidy order. What more could one ask? I had a concealed cistern which was overflowing. Three plumbers visited and all said they had to break the tile work to reach the cistern. Plumbline assured me that was not going to be the case on the phone. When he arrived he went straight to the job at hand and resolved the problem with a smile on his face. He assured me that the work was guaranteed with no cost for labour should the problem arise unless it required the installation n replacement of a new part, which i certainly have to pay for. Good Job! Excellent, friendly service. Very pleased with the quality of work and would definitely use Andy again in the future. Andy is a very knowledgable and professional plumber who solved a long term problem for us. He was reasonably priced, very polite and always turned up when he said he would. We're very pleased with the service he provided. We will certainly use him again and highly recommend him. On three separate visits Andy looked to isolate our fiddly water hammer problem, stating no payment would be made unless the problem was fully resolved. Having then improved, but not eradicated the problem, Andy still did not charge for the work and even recommended we do not take on the expensive job needed to fully fix the issue. Andy is knowledgable, transparent, prompt in communicating, polite and utterly professional. We will not hesitate in contacting Andy directly for all future plumbing jobs. Andy is a good, reliable plumber and I have no hesitation in wholeheartedly recommending him. Communicated at all points during the job and did what he said he would do, much appreciated. Andy at Plumbline was excellent from the start. He provided a clear quotation, charged a fair price for his work, always turned up on time, did an excellent job and was extremely polite. If all tradesmen were like this the world would be a better place! I will definitely use Plumbline again and have no hesitation in recommending them. Mr.Marks the plumber arrived promptly. He diagnosed the problem and had to work with very difficult access to the tank in the loft. Having repaired the fault - a very noisy high pressure storage tank inlet he waited until I was happy all was well. He was courteous, pleasant and tidy. Highly recommended.